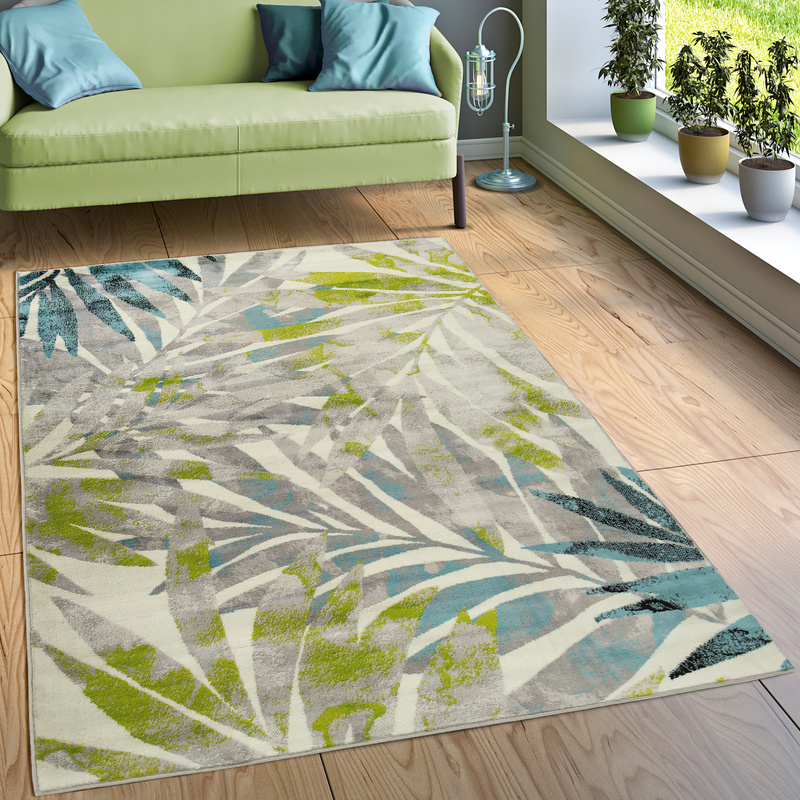 Like a little bit of holiday feeling for your home? 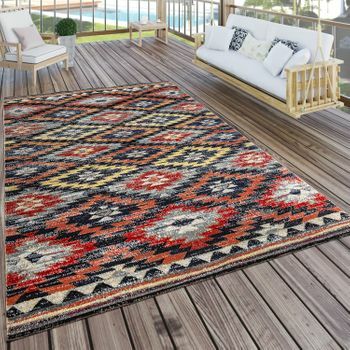 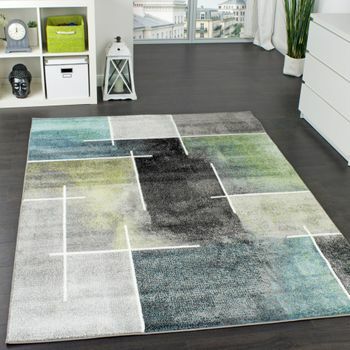 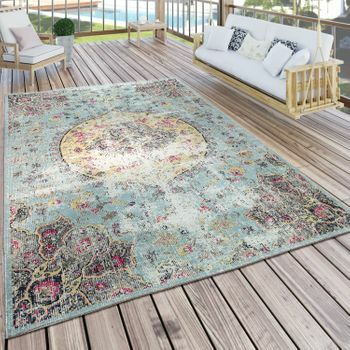 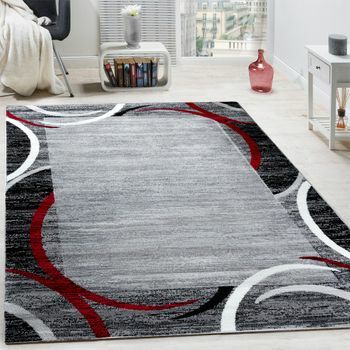 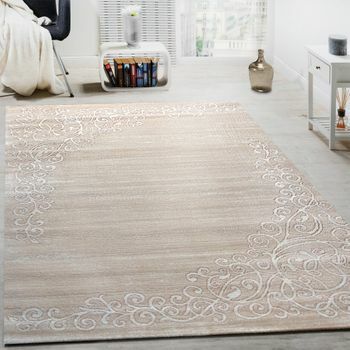 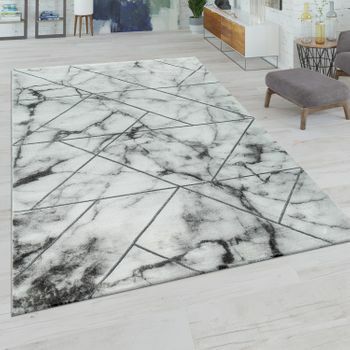 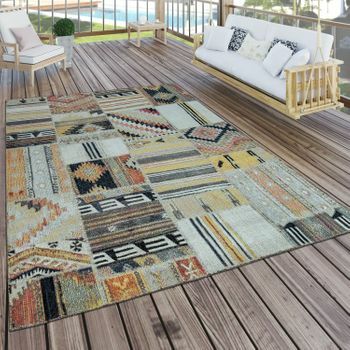 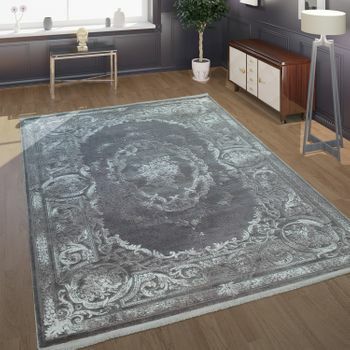 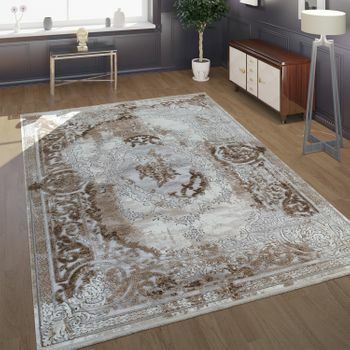 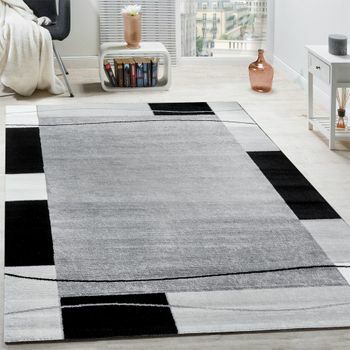 This stylish rug in current trend colours makes it easy! 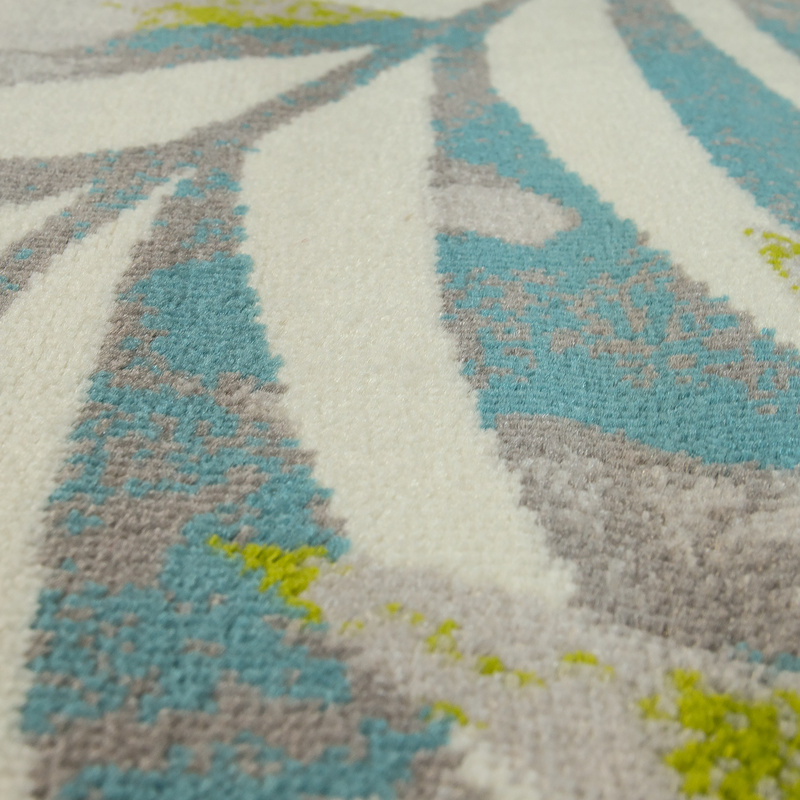 The cool pattern in white, grey, green and blue features a gentle play of colours and elegant restraint. 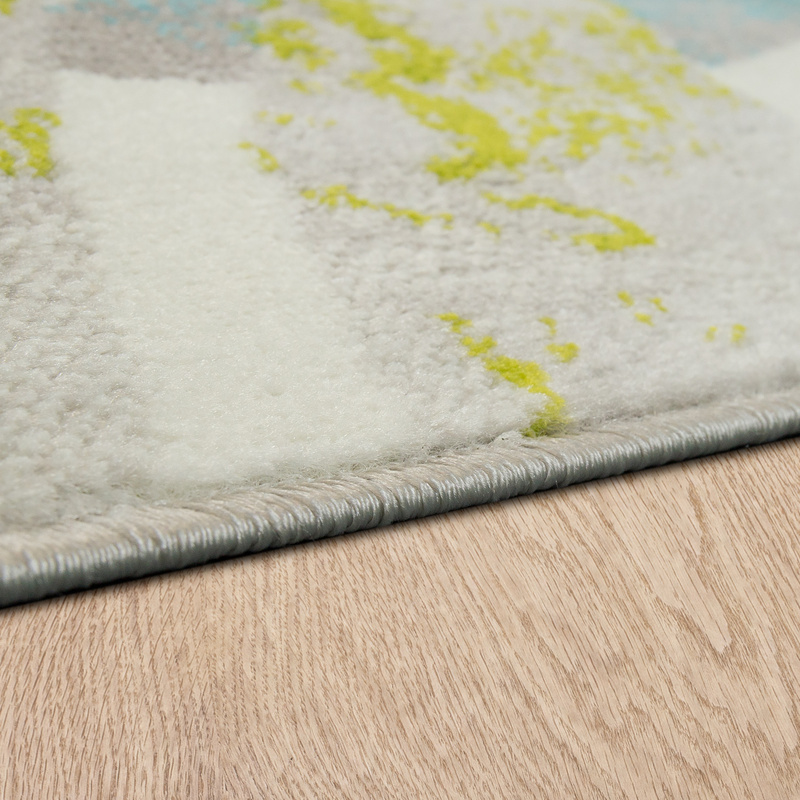 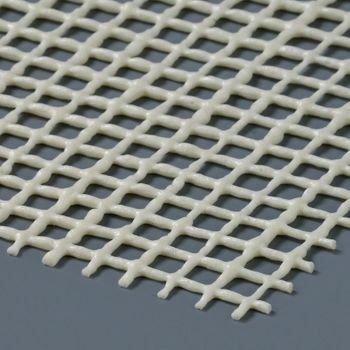 Made from 100% polypropylene, the surface is very robust and at the same time dirt-repellent, meaning the rug is also perfectly suited for your entrance or hallway area  with or without underfloor heating. 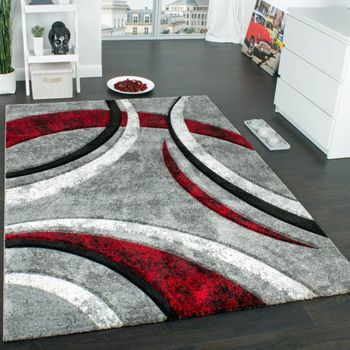 Even in small rooms, the rug makes an impact and, thanks to the bright colours, creates a soft and gentle ambience. 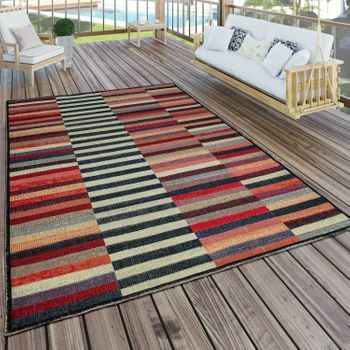 Combined with cosy rattan furniture or white décor elements, you can create an individual version of Scandinavian style. 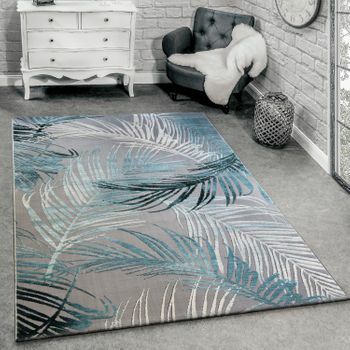 Our tip: the modern design reminds us of gently waving palm leaves and the deep blue sky on a beautiful day  the perfect feeling for a cosy living room! 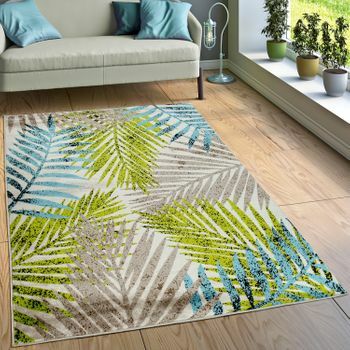 With large green plants and furniture in natural colours, you can emphasise this charm and create your very own paradise.